Christophe Bourrie, Regional Director of Louis XIII de Remy Martinfor South East Asia, Middle East and India shares the brand's story and talks about its foray into the country. Christophe Bourrie, Regional Director of Louis XIII de Remy Martin for South East Asia, Middle East and India shares the brand's story and talks about its foray into the country. Q. Remy Martin is one of the most recognisable names in the cognac industry. How did the brand make a name for itself that is synonymous with premium cognac? A. To delve into the secret of a good cognac, you need to know the particularities of the soil and the terroir. The smooth fruity essence of a remarkable cognac can be attributed to the grapes sourced from the coveted crus - the Grande Champagne and Petite Champagne in Cognac. The resultant eaux-de-vie is an exquisite blend with the signature Remy Martin feel. Remy Martin has been using the same traditional distillation and ageing methods since 1724, designed to capture the blossoming of the aromatic heart of cognac. The brand's formula involves a set of processes overseen by Cellar Master Pierrette Trichet. Three centuries of Cellar Masters' heritage & know-how combined with expert techniques have made the brand what it is today. Q. Flavoured cognac feels as good on the palate as pure cognac. What is it about cognac that makes it conducive to flavouring without losing its essence? A. You can spot a good cognac by the depth of its complex flavours. From the tiercons and oak barrels that the cognac is matured in to selecting grapes, the process involves critical reliance on distillation, ageing and blending by the Cellar Master. A judicious combination of time-tested and contemporary techniques imparts to the cognac a range of concentrated aromatic flavours that are so potent that additives are not able to detract from its essence. The intrinsic purity of cognac derives from these processes. Q. What is the minimum ageing time for cognac? Q. 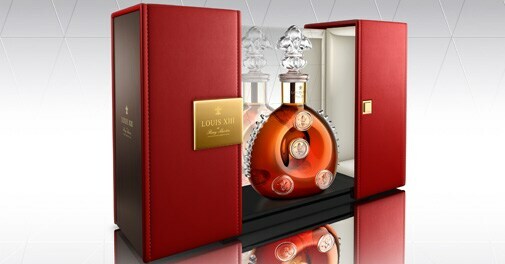 While cognac is a drink associated with luxury, it has never enjoyed the level of popularity that whisky or wine does. How receptive do you think the Indian market will be to Remy Martin? A. The Indian market has been quite encouraging towards Remy Martin and its sales in India reflect as much. Indians have gone out of their comfort zone to experiment and have been pleasantly surprised. India is predominantly a brown spirits market but the changing economic dynamics and a higher purchasing power seems to be heralding a marked shift towards premiumisation. This opens up diverse avenues for the brand in the Indian market. Q. Is cognac best had by itself or when paired with food? A. Cognac is the perfect accompaniment to any occasion. In fact, you don't really need an occasion to enjoy a drink of cognac. I personally love to start my evening with friends over Remy Martin VSOP cocktails. My favoured drink of choice is Remy Martin with a splash of Ginger Ale. As the evening wears on, I move on to a cigar that is best savoured with Remy Martin XO. I end the meal with a shot of the exquisite Louis XIII. Cognac's complex character makes it well suited to pairing with food as well. Q. Why are the predominant notes in cognac fruity? What makes it most conducive to pairing with dessert? A. A good cognac like Remy Martin has a lot of aromatic notes a result of fine grapes, distillation and longer ageing. This complexity allows it to explore facets of flavours ranging over a wide spectrum, including desserts, without losing its identity. My favorite is a pairing of Remy Martin XO with dark chocolate. The sharp bitter, tantalising sweetness of the chocolate works very well with the vanilla and spicy notes of Cognac.